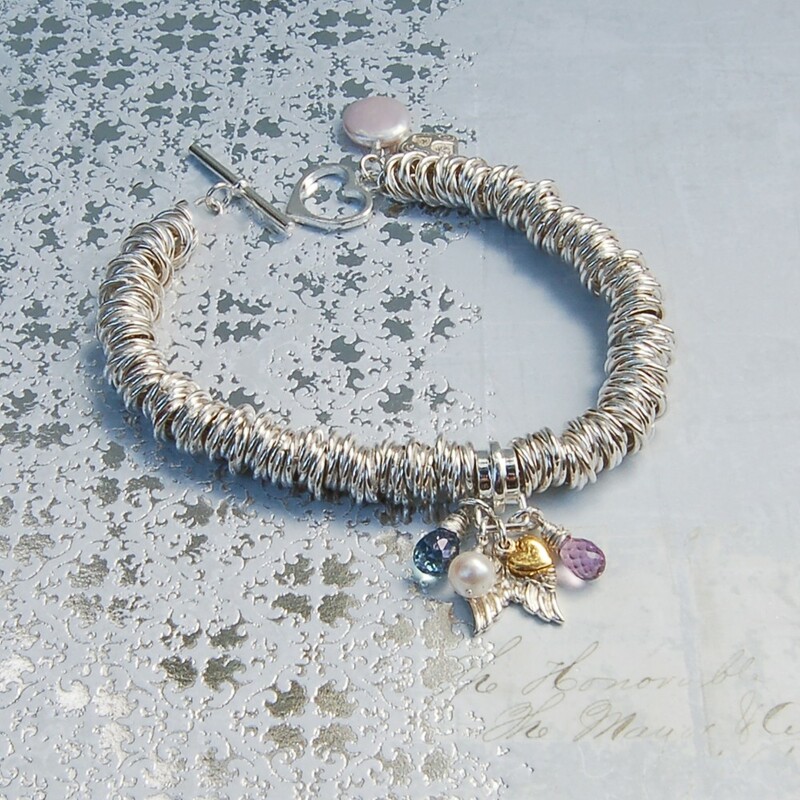 Elegant handmade sterling silver charm bracelet consisting of silver soldered rings, Sparkling gemstones, Luscious freshwater pearls and intricate silver heart and angel wing charms. 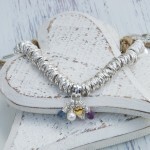 This beautiful bracelet has everything when looking for one , Quality, elegance, uniqueness, exclusive, colourful, and a standout bracelet which everyone will look at because its something IndiviJewel. This bracelet can be purchased for everyday use but also because of the elegant and quality look and feel would make it suitable as a special gift for someone for an even more special occasion. 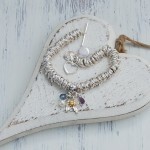 Sterling silver rings which have been soldered two into one sit on a sterling silver belcher chain to give a unique design and wonderful sparkle. 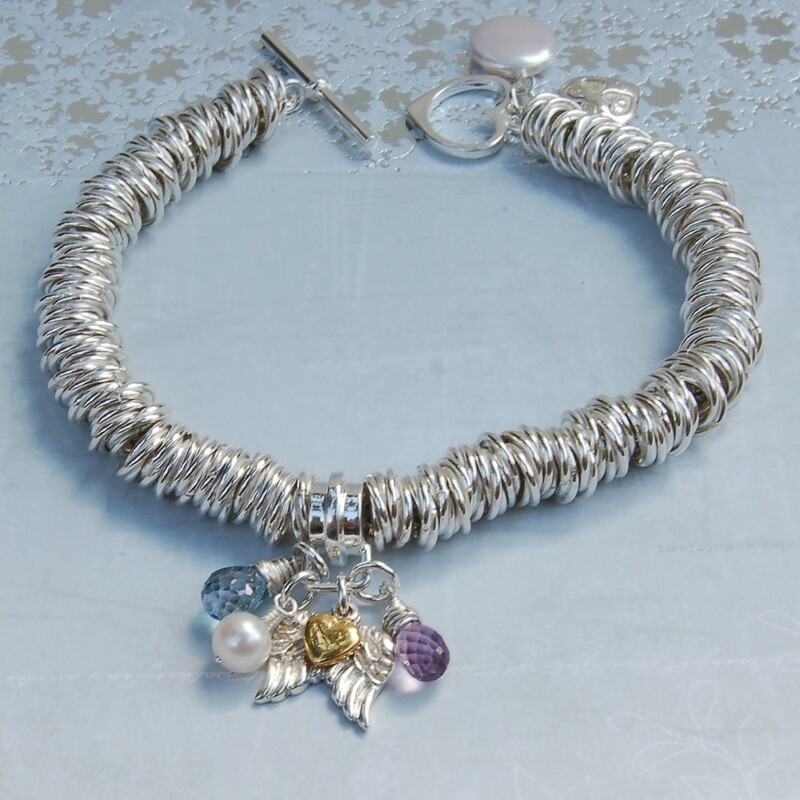 The charm holder has four charms hanging from it, Firstly we have a sterling silver angel wings charm with a gold vermeil heart sitting in the middle of it. 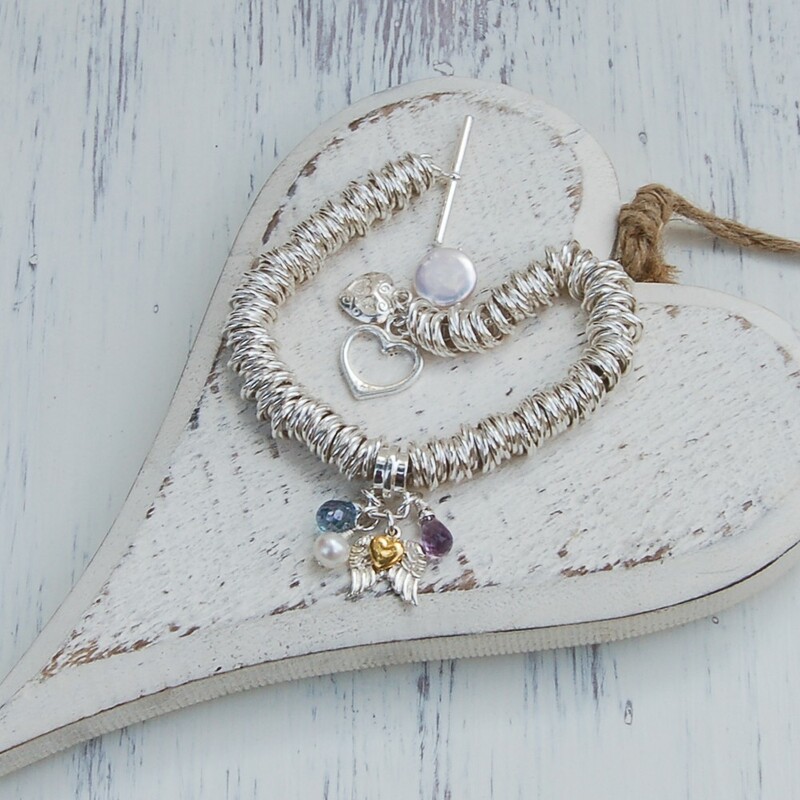 On one side we have a dazzling AAA lilac Amethyst briolette and on the other side we have an equally dazzling London blue Topaz briolette and it certainly makes a sparkle or two. Next to the Topaz we have a round freshwater pearl AA+ grade which when mingled in between the charms gives it a nice contrast. 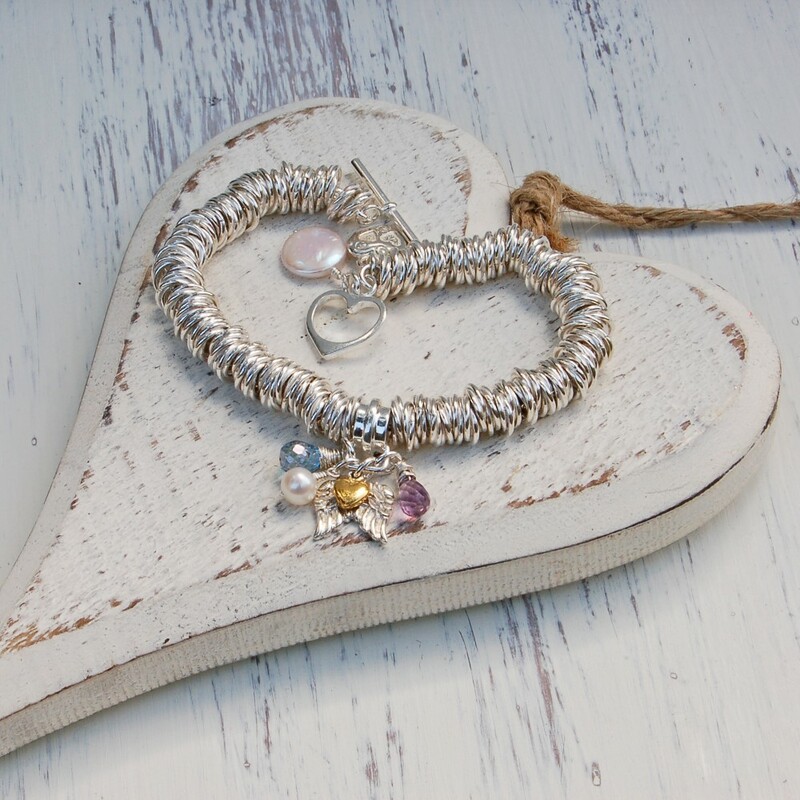 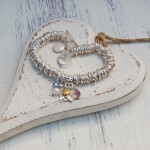 To finish the bracelet off we have a lovely heart toggle and on the heart side of the toggle we attached a sterling silver heart charm which is very intricate and very cute. We have added a freshwater coin pearl next to the heart to add a splash of colour and again a nice contrast with all the silver, Coin pearls of this great quality are hard to find and just add to the quality of this vibrant bracelet. 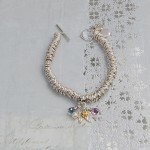 This bracelet is made from sterling silver, Gold vermeil, AA+ Freshwater pearls and AAA graded gemstones.